Please don't email us claiming we are anti-Semitic. We definitely are not! Nor do we deny the holocaust. 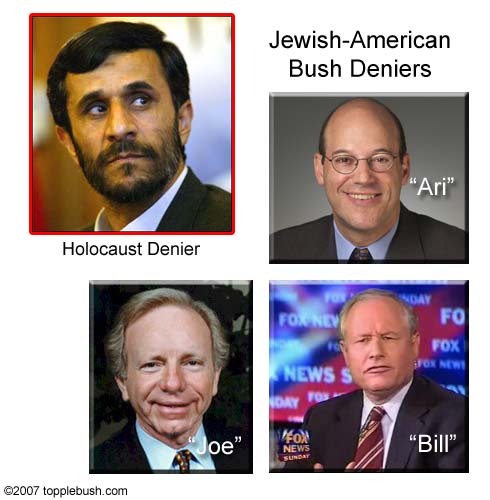 We are only trying to point out the absurdity of these rabid Bush supporters calling someone else a denier.